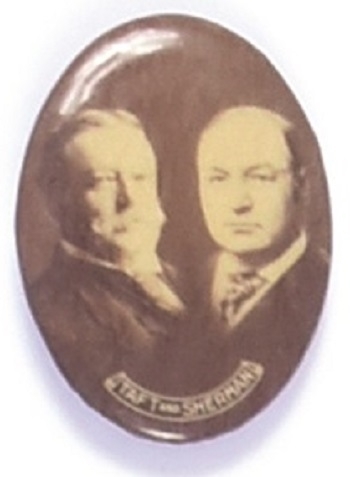 William Howard Taft and James “Sunny Jim” Sherman team up on this scarce oval celluloid campaign pin. They made up the GOP ticket in 1908 and were set to do it again in 1912 when Sherman died just a week before the election. This 1 3/4 inch celluloid is in excellent condition.